March 6th marks Mother's Day in the UK and with that brings a day that we can express our appreciations for the special woman in our lives. Although we don't need to have a specific day to do this, it just makes it all the more special to have a day to just say "I love you!" and today's all about you. I feel I have two mothers, I was raised and live with my grandmother so for me it's double the love to give and show. 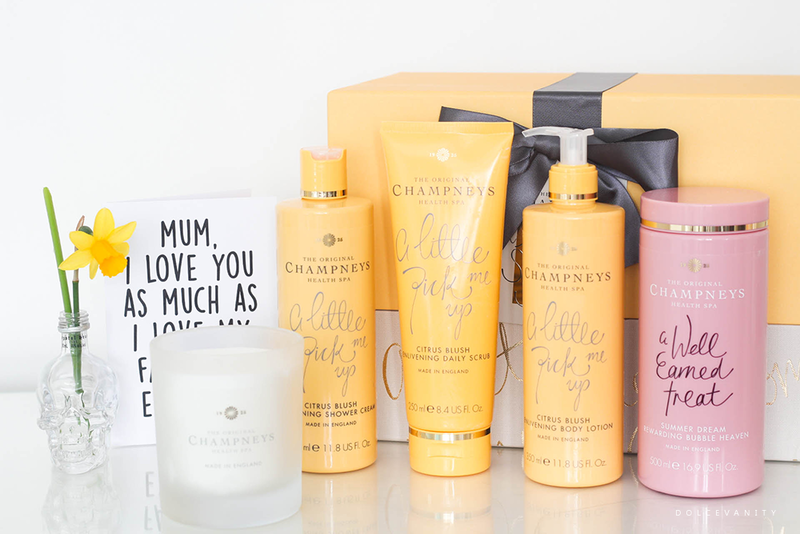 So with that I've got 5 ips below and a gift idea to let mum pamper herself with Champneys. 1. Breakfast in Bed, Brunch or Dinner. A classic move for Mother's Day, give mum a chance to just sit on her rump and put her feet up while you whip up pancakes & strawberries with orange juice or smoked salmon with champagne for brunch. How about cooking a family dinner? Mum can have a Sunday dinner, day off and be catered too for a change. Yes, you have to do the washing up! 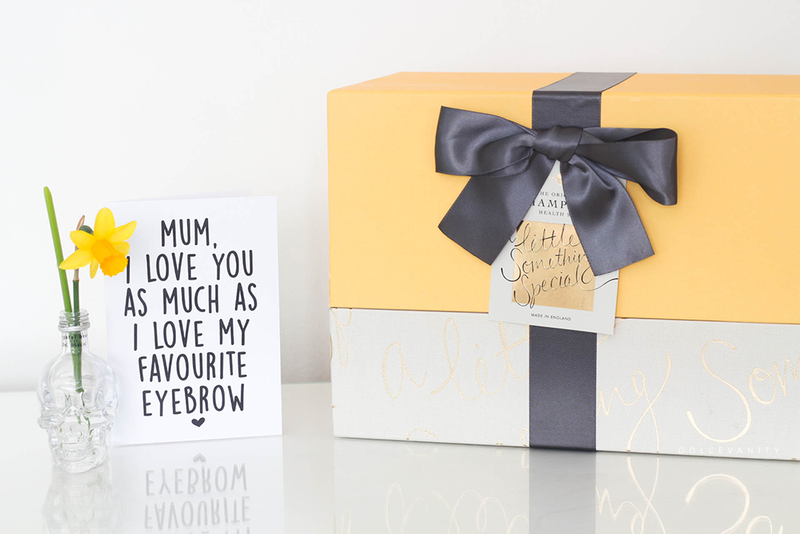 One way for mum to relax and unwind especially before the next work week is by pampering her. Of course if you've already got that spa day booked, well done. But if not I'm sure she'll love the fact that you've taken the time to give her homemade or a gift set (see below) that'll allow her to light a candle, soak in a bubble bath with a face mask on, throw in that bottle for her to sip on and you'll have one relaxed and giddy mama. Maybe you both can give each other face masks & mani - pedis. 3. Do An Activity With Her. Is there something your mum enjoys doing? Mine enjoys doing jigsaws. Spend some time doing something she likes doing, it shows that you're interested and you'll spend time having fun and a good chat. In this digital - fast paced age, we often forget how writing can be personal. It's handwritten, from the heart and something she'll always keep. Let her know how much you love & appreciate all that has & is being done for you by mum. A couple years ago I made my mum a jar of love. Priceless. It's nice to do things without being asked but how about just asking mum, how can we make this day perfect for you. It'll probably be the most simplest thing she'll appreciate, after she tells you she wants something out of your powers. I asked my nan what she would want, she told me just peace & quiet, strange there's only the two of us, hinting much? Although I'll cook her dinner. Mother's day doesn't have to be expensive or a head scratching experience, most mum's are grateful for whatever their children give them from the crest growing in a pot and pasta pictures as a child to the pocket money garage flowers you might of only been able to afford in your teens. It's the thought that counts and that's the appreciation. Indulge in a Moment of Bliss. Champneys always seem to have value for money gifts and presented nicely this one comes in a luxury box with a black bow. The lid pops open (it can be reused to store other additional products for a future go to spa box) Brightly yellow and off white with gold lettering it's beautiful to set your eyes upon. 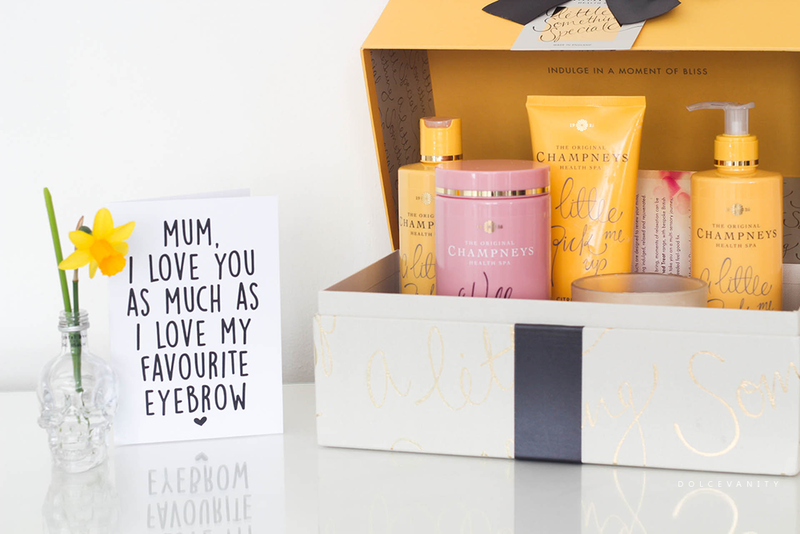 Within the box you'll receive 5 extremely generously sized items that have two of Champneys most loved scents Citrus Blush & Summer Dream. Citrus Blush carries the scents of citrus lemon, orange and a touch of cardamom. These scents have some calming & mood properties, the lemon scent gives a calm and clarifying feeling and it's a quick mood enhancer also orange is a natural sedative while cardamom is an antidepressant due to the mood-elevating properties. Citrus Blush Enlivening Daily Scrub 250ml I've found that Champneys scrubs, really can be used daily, as it's a non abrasive sugar & salt combination, it's quite fine in texture but it still manages to leave the skin feeling smooth but not dry. Citrus Blush Enlivening Shower Cream 350ml the cream can be put onto a sponge and massage over damp skin for a generous lather, the mood lifting scents are a bonus as you don't want to leave the shower while using this. I'm a sucker for citrus what can I say. Citrus Blush Enlivening Body Lotion 350ml my nan liked this cream upon first use, she felt it was moisturising and the smell was nice and not too sharp (as we know citrus can be sharp in smell as well as taste). The pump makes it easier to control the amount of product & with 350ml you're getting a lot of product that should last you quite a while. Summer Dream carries the scents of peach, mango, orange and passion fruit. All of them are mood boosters and calming. Making the combination with Citrus Blush beneficial to relax and be in a good mood. Summer Dream Rewarding Bubble Heaven 500ml simply pour this within running water and watch the bubbles curate quickly throughout your bath and the Summer Dream aroma fill your bathroom quickly. Summer Dream Rewarding Candle with all the scents that Summer Dream possesses already, they go and add a touch of Sandalwood to this candle. I adore Sandalwood and it's not overbearing in the scent, it plays well with these other scents perfectly.